product pages and increase conversions. Why you should invest in PPC? 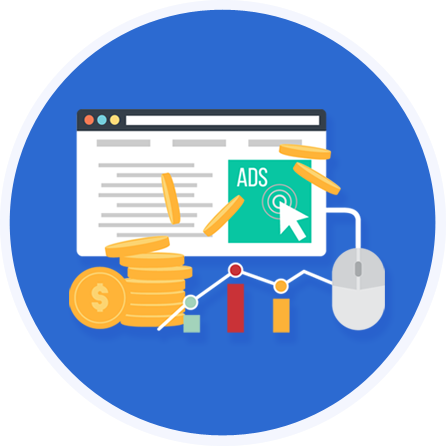 Pay-Per-Click Advertising also known as paid search marketing is a strategy followed by millions of businesses to drive traffic or customers with purchase intent to their website. In today’s time of stiff competition, it is a herculean task to get a position on page one of Google organically. Pay-per-click services is the best way to put your products on top and increase conversions. 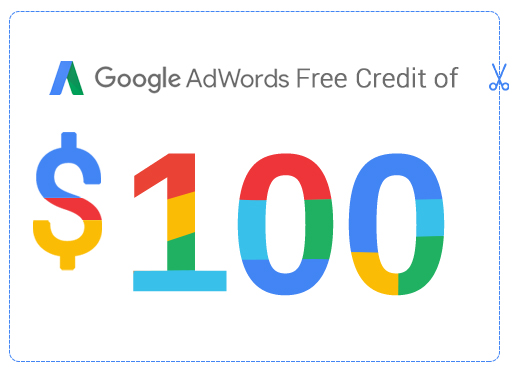 Our team of PPC experts will help you effectively utilize your $75 free PPC credit offered by Google Adwords. We will help you set-up your account, create your first ad campaign and get you started at No Cost. Search Ads helps you attract customers with specific goals to optimized landing pages of your website relevant to their search query. Everyday there are thousands of people searching for specific products on Google. Among them there are people with a high purchase intent who are ready to buy a specific product. Search Ads help you target them and convert them to customers using text ads. 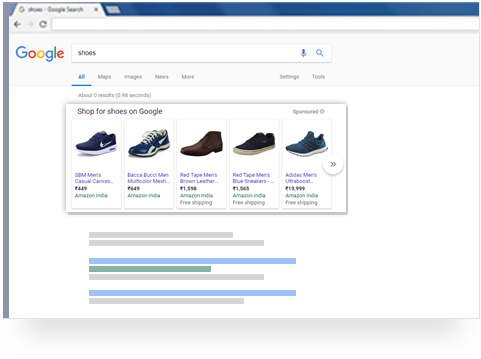 Google Shopping is the one of the best advertising platforms for ecommerce merchants. 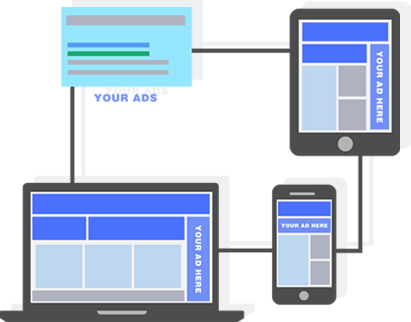 It heavily depends on product feeds that lives in your Google merchant center. These product feeds contains high level details of your products and are optimized in a fashion that Google loves. 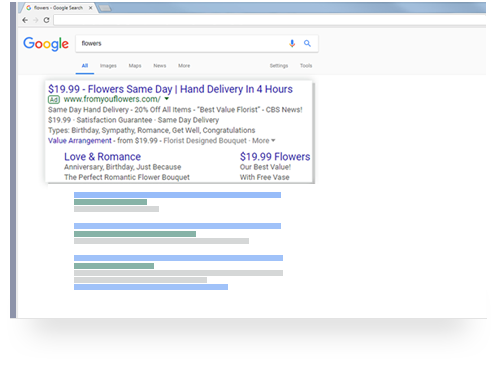 Google will match the search intent of users and consider factors such as feeds, your website and the bids to determine when to trigger your product ads. Re-engage your visitors with remarketing ads. Not all visitors who visit your website will make a purchase. A big chunk will leave without making a purchase on their first visit. Remarketing Ads will re-engage them by showing ads of the products they viewed on your website when they are online. Its very effective to establish brand recognition, bring visitors back to your website & make them purchase ready. Display Ads helps you attract customers to your products while they are not actively looking for it, however in a well-timed and relevant manner. Unlike search ads which works around keywords, display ads allows you to target webpages on specific topics or has specific keywords. Banners Ads are placed on websites & blogs which contains articles or information closest to your products. Display Ads targets people who are in product research mode and pushes them towards making a purchase.